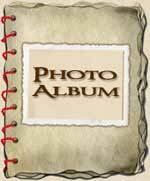 Moose is our pick puppy from the "Devil" litter, co-bred with Margaret Lucia (Wyvern) and Sara Whittington (Chataqua). 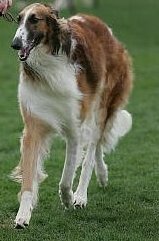 He has shown a touch of promise for coursing and has earned points towards his ASFA Field Championship as well as having earned his AKC Junior Courser title. 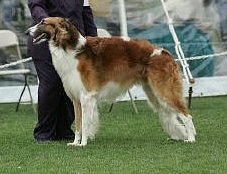 A striking, heavily-colored neon red with black mask, he was not out showing much until January 2007, when he won his first major at the Nolan River Kennel Club show. 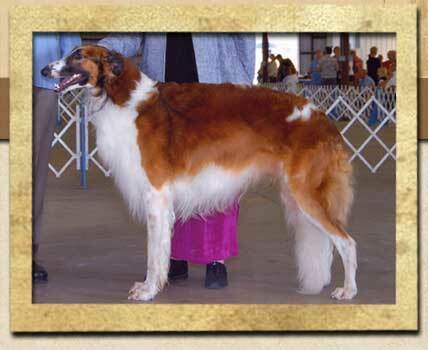 As a youngster he had won the Bred-By Exhibitor class against much older competition and had a major-reserve. 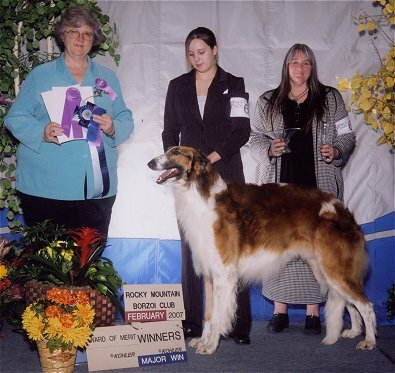 In February 2007, he won Winners Dog and an Award of Merit at the RMBC Specialty Show in Denver, handled by our friend and "extended family" member Paige Lockard (pictured at top of this page). 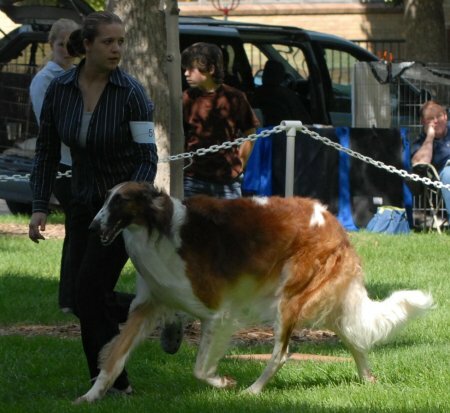 He also placed 4th in a large, quality Bred-By-Exhibitor class at the 2007 National Borzoi Specialty in Rhode Island. 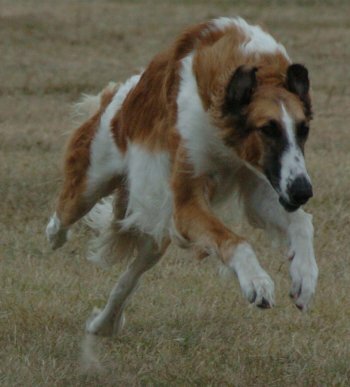 Moose completed his AKC conformation title in October 2007!